Phil Fersht: Peter, CSC’s been making a very concerted move with its Cloud Computing offerings. How to you view the future of Cloud and what role can you see CSC playing in its development down the road? Peter Allen: The principle reason I elected to join the CSC team was the vision, investments, and strategy relating to industry-specific business services. The talent that we’ve assembled to design and implement “new world” business models for our Clients is exceptional. Central to our approach is embracing disruptive technologies that we can apply in order to accelerate and enable the business strategies of our Clients. The term “Cloud” means so many different things to people in our industry. For us, however, it’s the beneficial effect of virtualization, application modernization, enterprise data management, cyber security, and services integration. We believe that those five conditions are essential for the promise of public/hybrid/private Cloud architectures to be embraced. Being the largest product-independent IT services provider, we see our role as serving as the expert architect of solutions in a world of fast-paced change. We are decidedly vertical in our thinking on this. We believe that buy-side executives want a partner to enable future-state business services that can move at the tempo of change that we are all experiencing. So … you can find CSC-developed business applications designed for the mobile devices that are prevalent today. You can also rely on CSC to mange a global unified communications and collaboration fabric that supports flexibility in corporate business models. To us, the “Cloud” implies an expectation for variability, flexibility, resilience, and security. And, those are business opportunities enabled by technology expertise and objectivity. Phil Fersht: You were such a great spokesman for the advisor community before your big move, Peter, and you’ve definitely left a void on the advisor side. Do you see the advisor community successfully broadening the value of its offerings from deal transaction work, or do you see it stuck in the same hamster-wheel as before the recession? What do the advisory firms need to do to provide deeper, broader offerings across the whole sourcing life cycle? Peter Allen: I appreciate those kind comments, Phil, but I was merely one voice among an exceptional cadre of our industry. I found the collegial spirit among the lawyers, Advisors, researchers, Service Providers, and Clients to be quite progressive. In my mind, the Advisory community must recognize that the art of the deal is now, largely, a commodity. It’s a practice that has been implemented enough times over the years for there to be commonly-accepted norms that enable efficient and effective contracting. That’s not where the buyer-provider dialogue needs enablement. Rather, the role of the Advisor is taking on a decidedly more forward-looking feel. Clients are looking for “what’s next” in terms of construction, integration and operation of enabling business services. There’s a technology prognostication element, and awareness of the investment profiles of the industry leaders. In fact, the tenor of the dialogue today takes on a feeling that more closely resembles M&A endeavors or joint-venture design. The contractual aspects are taken as secondary. I am seeing the forward-leaning Advisors serving as sources of strategic design expertise to their Clients. They are sitting at the table to enable scenarios relating to business models of the future, and the roles of industry partners in those business models. It ought to be an exciting time for the Advisors that have the acumen for tomorrow, not yesterday. Peter Allen: Phil, it’s always a pleasure to connect with you and your broad readership. Best to you, and Horses for Sources. 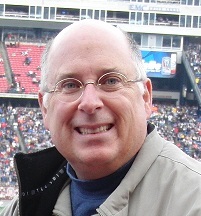 Peter Allen (pictured above) is President, Global Sales and Marketing for Computer Sciences Corporation (CSC). Prior to CSC, he most recently served as partner and managing director for TPI, where he was responsible for advisory operations for TPI's CFO Services Advisory team, directing the TPI Index, and providing council to senior executives across a wide spectrum of TPI clients. He also served as one of TPI's key thought leaders and frequently spoke at industry events as an expert on technology and sourcing trends. Previously, he was president and CEO of Data Dimensions, a Y2K consulting and infrastructure/applications outsourcing company. Prior to this, Allen worked for CSC in various capacities across the company's U.S. federal and commercial outsourcing operations.